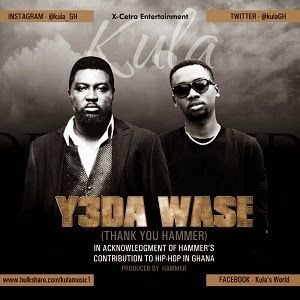 Kula is back again with Yɛda Wasi (Thank You Hammer) refix. He jumps on “Yɛda Wasi” which was originally performed by Sarkodie, Edem, Kwaw Kese, Tinny and Obrafour to give thanks to Hammer for the role he has played in Gh music. Download and listen the Kula‘s version. Enjoy!